The mission of Rochester City Ballet (RCB) is to create inspiring, entertaining and educational experiences through the art of dance while providing the highest level of artistic and technical excellence. RCB is committed to bringing the beauty of the art of dance to our community. We honor this commitment by offering numerous performances to groups throughout the area who would not, under normal circumstances, have the opportunity to enjoy a professional dance performance. 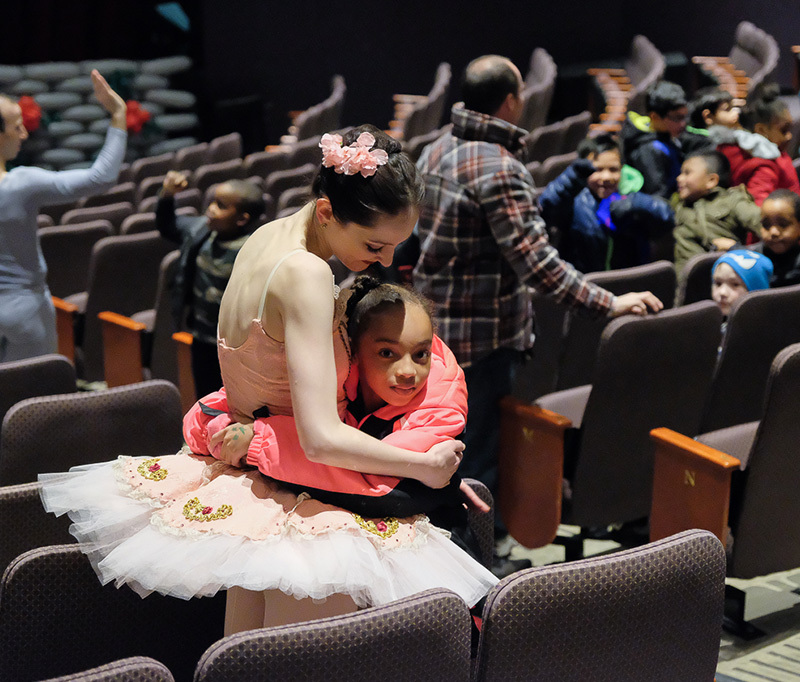 Thousands of Rochester City School District children have been treated to special dress rehearsal performances of The Nutcracker, Cinderella and Peter and the Wolf. We regularly reach out to the community with open Lecture Demonstrations for young children along with visits to nursery schools, elementary schools and local retail establishments, offering mini performances and book readings. It is our goal to bring the art of dance to each and every person who has a desire to be entertained along with educating others who are unaware of the beauty of dance. 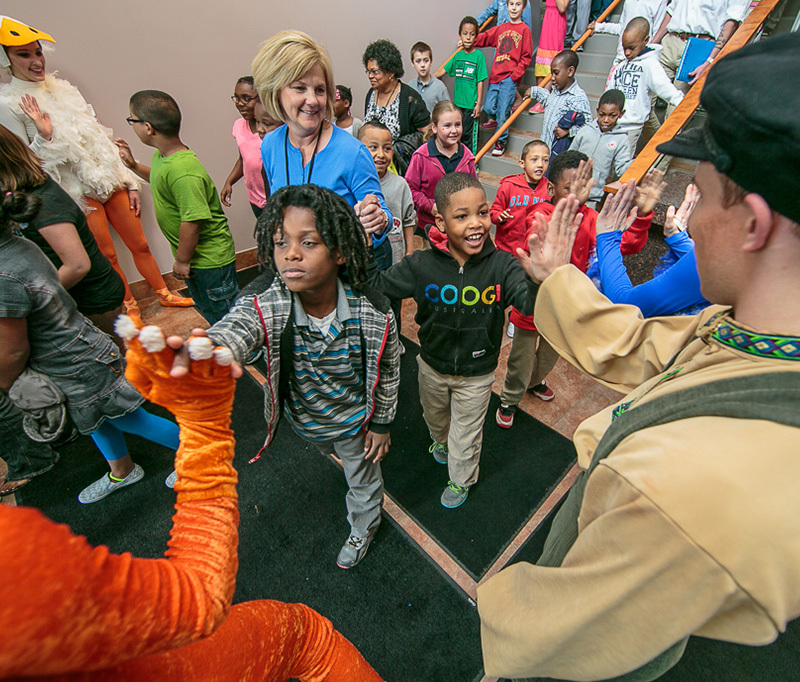 RCB opens our dress rehearsals of Peter and the Wolf and Cinderella to more than 2500 Rochester City School District children, grades Kindergarten through 4th grade. Rochester City Ballet brings a mini-Nutcracker holiday performance to the Stepping Stones Learning Center in Rochester. The performance is given to 300+ school children each year, including many of the special needs students that attend SSLC, along with their parents and teachers. Each year, RCB presents its annual pre-Nutcracker book reading and lecture/demonstration at Barnes & Noble bookstores. The event features dancers in costumes and a reading of the Nutcracker story. These events are open to the public and free of charge. If you are interested in booking Rochester City Ballet for a special outreach performance, lecture or demonstration, please do not hesitate to contact us with your request. For outreach inquiries, please call (585) 461-5850 or email us.